This post was originally published at Medium: A Portrait of the Marketer as a Young Man. Today, I’m a marketer (at DNN) who does a lot of writing. My degree is in computer science, not history, communications or political science. I spent the first 14 years of my career in Information Technology (IT). So how did I come to be a marketer? Anne’s post inspired me to consider my own journey. If there’s such a thing as a crisis in elementary school, then I was in one. Both of my parents had been called in to a meeting with my second grade teacher, Mrs. Trout. I had been making careless spelling mistakes and the pattern was only getting worse. Spelling errors were understandable, but Mrs. Trout was concerned about my consistent pattern of carelessness. I took that meeting to heart (well, as much as a second grader could). I addressed the carelessness and improved my spelling each year. In fact, by the time I reached fifth grade, I’d be entered into the grade-wide spelling bee. This second grade crisis helped shape my marketing. It’s put a certain lens around everything I do: writing an article, reviewing an email promotion, writing a webinar description, reviewing a white paper, etc. I have an ability to catch my own mistakes, as well as spot errors in others’ work. I harken back to my days in second grade and know why. Image source: User cdrummbks on flickr. I’ve now reached fourth grade. 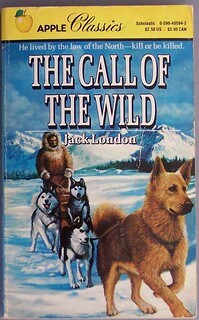 We read Jack London’s “Call of the Wild” in class and I was writing a book report at home. My dad briefly looked over my work and thought that I wrote the report all wrong. As he tells the story, I became very upset, insisting that I had written the book report according to specifications. Based on my strong insistence, my father allowed me to proceed and I handed in the book report “as is.” It turned out I was correct: I received a good grade on the report. From that moment on, my dad gave me full editorial independence in my grade school writing projects. This feeling of independence can be empowering. If every sentence I wrote could be inspected for corrections, the experience wouldn’t be as enjoyable. And while editorial oversight is important and necessary in many contexts, the independence is one reason I enjoy blogging so much. Also in fourth grade, I developed a love of sports. Starting in high school and continuing into the present day, I read a lot of sports articles. I like to read the beat writers who cover my teams and I love human interest stories (i.e. long form articles) related to sports. 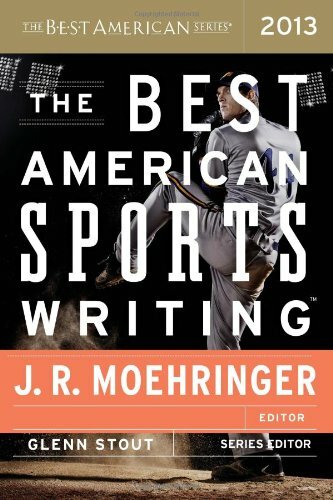 I adore “The Best American Sports Writing” series. My dream job? To be the beat writer for one of my favorite teams. I’ve tried my hand at sports writing. At my current job (and at past jobs), I’d write summaries of company softball games and soccer games and share them. My colleagues would tell me that I missed my calling as a sports writer. Because of all the reading I’ve done, writing about sports came so naturally to me. As I sat at my keyboard, words would emanate and flow like those of more experienced sports writers. It’s similar for the B2B content I write at work: I consume so much of other people’s content that it helps inform and guide my own. For a high school English class, I submitted a poem that depicted a cold, wintry night from the view of my bedroom window. My English teacher liked it. She managed the school’s poetry magazine and encouraged me to get involved. So I wrote more poems, attended a poetry conference or two and helped assemble the school’s magazine. I’ve come to realize that marketers are much like poets: we need to assemble words in a way that makes an impact with our audience. So when I compose tweets, Facebook posts, subject lines, calls to action and promotional copy, I look back to my high school days and realize that my dabbling in poetry helped a great deal. Image source: User xxxbadfishxxx on flickr. There’s a difference between eloquence and substance. At an early age, I discovered that I had a knack for putting words together. But I didn’t receive consistently high marks on my papers, whether it was AP English (in high school) or Literature Humanities (in college). The issue? 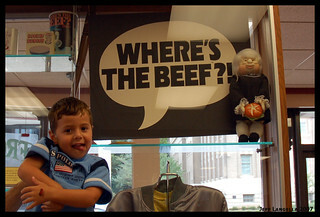 I was missing the beef (i.e. substance). This realization helps inform my B2B writing. Whether it’s a blog post or a white paper, I try to spend as much time (or more) researching as I do writing. The content must be well planned, well researched and well thought out. Words can always sound good, but they must be backed up with information and insights that provide value to the reader. It’s been fun to consider how childhood events and developments helped shape the marketer I am today. When I graduated from college, I never considered the possibility that I’d be in marketing. I wonder what I’ll be doing ten years from now. Perhaps you’ll find me online, reporting on last night’s Yankees game. This entry was posted on Saturday, January 11th, 2014 at 7:36 AM and is filed under Marketing. You can follow any responses to this entry through the RSS 2.0 feed. You can leave a response, or trackback from your own site.